For all the fun Instagram brings to smartphone photography, it sure has a lot of rules. Thankfully, as of right now, you won't need to bother uploading only square images anymore. Instagram is letting users share photos and videos in their original portrait or landscape orientation. The square format was first introduced as an homage to Polaroid instant film, but most of the time it ended up being an annoying limitation in the digital age. 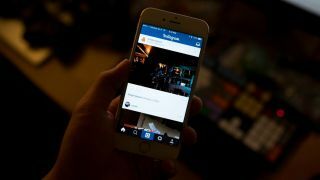 Because Instagram would only accept media that fit its square template, users were forced to pad out images with large boarders if they wanted to fit one that was wider or taller. With the update, you'll be able to share a wide panorama or a photo that captures the height of Freedom Tower in all its splendor. By removing the aspect ratio requirement, this means Instagram can also be a more effective advertisement platform. For starters, Star Wars was able to release a new piece of exclusive footage on Instagram now that it can properly show widescreen format video. The Instagram update is available now and will download automatically to users' devices through the iOS App Store and Google Play Store. You can also follow us on Instagram for a behind the scenes look at the latest technology news.